“I’m not the same person I was before. I no longer dive in headfirst. I see the deep end. I want to get there. But whether I do or not, depends on how hot or cold it is. I wrote this a couple of weeks ago and planted it on my facebook page. While the concept of “no longer diving in headfirst” pertains to the tactic I plan to use in most of my future endeavors, it obviously pertains primarily to the aspect of romance. One reason why, is because I understand that I can be quite difficult to understand. I’m not like most men. And that’s not to brag, because sometimes I wish I was. It would make things easier to just fit in, rather than being that nail that sticks out. Trust me, there is nothing noble about being rebellious. I blame it on my education. Once you’ve become aware, there’s no going back. But that’s for another editorial. 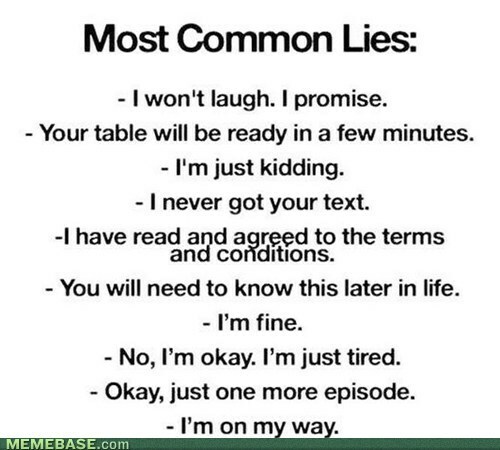 Top ten common lies that people say everyday…lol…. Can you say that you trust yourself? Not necessarily to believe in yourself in accomplishing your goals. But what I mean, is your feelings or opinions about another individual. Or about a situation. 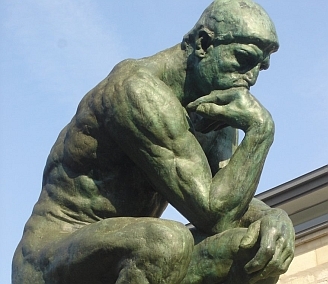 When you make a decision about someone or something, is it based on what you believe or what you want to believe? And if you do trust yourself and make a decision based on what you think you know…how accurate are you? I know this sounds convoluted and all over the place…but lately…I can’t get these questions out of my head.